91% of millennials today prefer to buy from companies associated with a social cause. 72% of consumers would recommend a brand that supports a good cause over one that doesn’t. Knowing the ‘why’ of your company and allowing it to take centre-stage can have a huge impact on the success of a brand in today’s market. In 2006, TOMS Founder Blake Mycoskie was traveling Argentina attempting to learn how to play Polo. It was here that he witnessed first-hand the hardships faced by children growing up without shoes. And so, TOMS was born; a company that would give a pair of shoes to someone in need with every new pair purchased. One for One®. Despite originally being told the One for One model wasn’t financially viable, 75 million pairs of shoes have been donated by TOMS, and the company was most recently valued at a massive $625 million. And throughout this process, TOMS have continued to learn and adapt – giving different types of shoes based on terrain and season, and creating local jobs by producing shoes in countries where they give. This would be enough goodwill for most companies. But not TOMS. After the ineffable success of TOMS footwear, Blake Mycoskie took a break to step back, gather his thoughts and think about the future. Whilst contemplating the future of TOMS, Blake read Simon Sinek’s fantastic book ‘Start with Why’, and learned a valuable lesson that helped shape the following decisions. It isn’t the ‘what’ that was generating so much revenue, but the ‘why’. And this was just a first of many new business ventures. TOMS are now invested in helping those in need with sight, water and safer birth – and also sell backpacks to support anti-bullying programs. 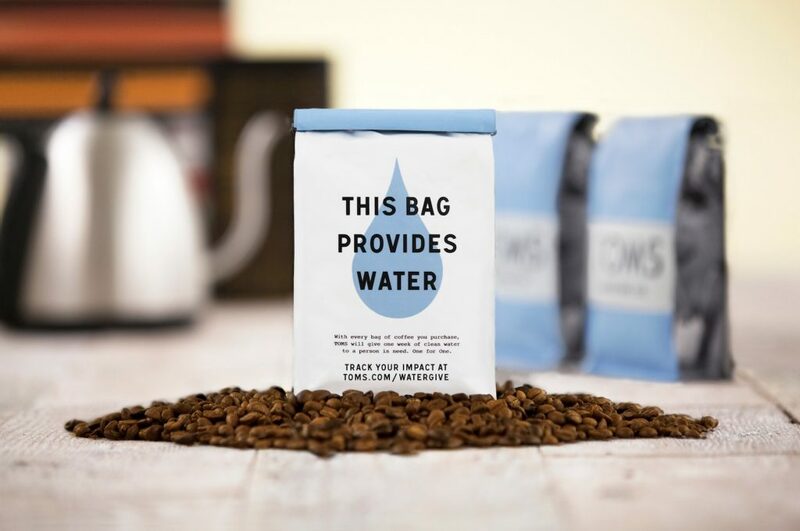 Purchase: Sales of TOMS Shoes, Eyewear, Coffee and Bags drive Giving through the TOMS One for One® model. Every time a TOMS product is purchased, a person in need is helped. Plan: The TOMS Giving Team collaborates with Giving Partners to plan how we can further the partners’ work, by giving TOMS products or helping the partners to provide services. Support: TOMS uses business for good, through tailored products and services, logistical support, local production and more. Give: Our Giving Partners provide TOMS products or services, supporting sustainable and responsible programs for communities in need. The purpose and passion of TOMS radiates out of all brand touch-points and across all aspects of the brand experience. It is at the forefront of all business decisions and has always been an integral part of the brand experience. What began as a simple idea has gradually evolved into a powerful business model that helps address health issues, education, and economic opportunity for children and their communities worldwide. It is no longer a brand, but a movement; a movement made up of many parts, including One Day Without Shoes and World Sight Day. It just goes to show, goodwill and good business don’t have to be exclusive. 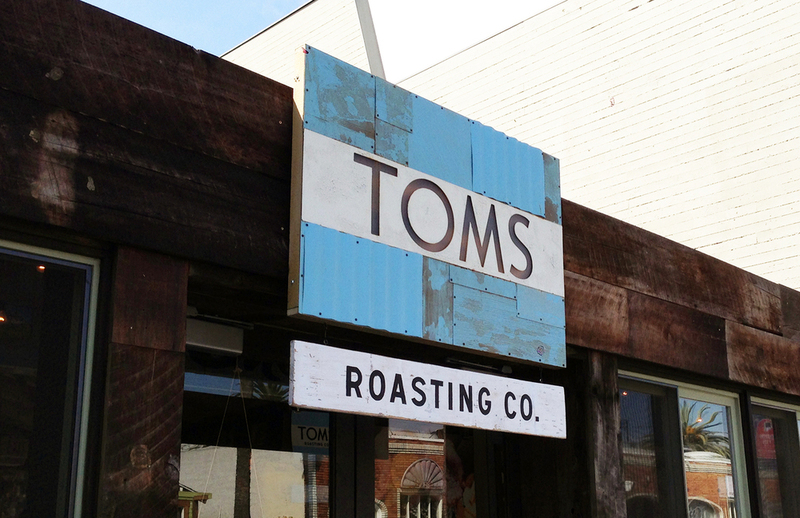 If you want to find out more about TOMS and all the good stuff that they do, click here. Or if you want to read more about what founder Blake Mycoskie thinks, click here.